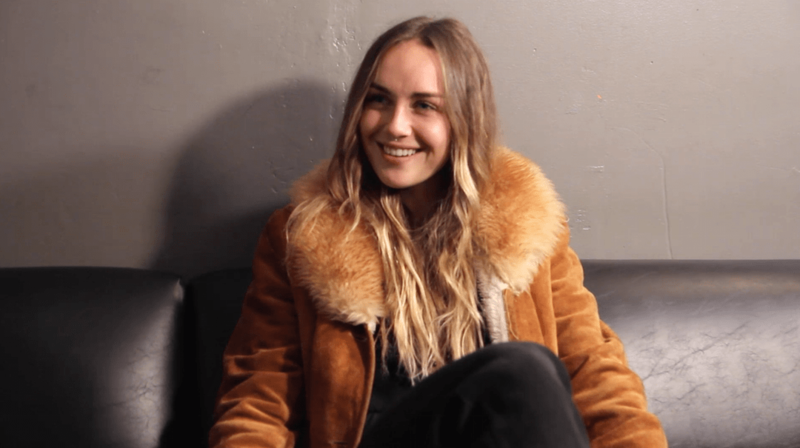 Zella Day picked up the guitar at nine years old and has not stopped performing since. Growing up in a small town near Flagstaff, Arizona, Day studied guitar theory in nearby Phoenix and even recorded her album of original material by the time she was 13. With influences ranging from The Jackson Five and Edie Brickell to Bob Dylan and Joni Mitchell, Day spent much of her time outside high school to travel to Nashville for writing sessions through BMG Publishing. Now at 19, Day has a record deal, invitation to play SXSW 2015, recognition from the tracks, “Sweet Ophelia” and “Hypnotic” and her debut album ready to be released in June 2015. B-Sides met up with Zella during her tour stop in San Francisco, where she opened for Milo Greene. B-Sides On-Air host, Pete Mar, spoke to Day about her beginnings, impressions of San Francisco and more.